Happy New Year to each and everyone of you! We are so excited to start the new year here at Project Run & Play. We have so many great things planned for January and the rest of the year too! For the month of January, our focus is organizing our sewing. For that theme we've got a whole bunch of fun organizing things planned for you. And we'll be sharing many, many ideas throughout the month too. Let's start off with organizing our sewing areas! This month's link up is your sewing area. So organize it, photograph it, write about it and link it up! We'd love to hear your favorite sewing organization tips, and we can't wait to visit your sewing area to see where you create those beautiful children's clothing you sew. Happy New Year!! This is perfect timing as I am currently attempting to organize my sewing room. I'm just not quite sure what to do with all the little scraps I have. Hopefully I will be more organized by the end of the month! 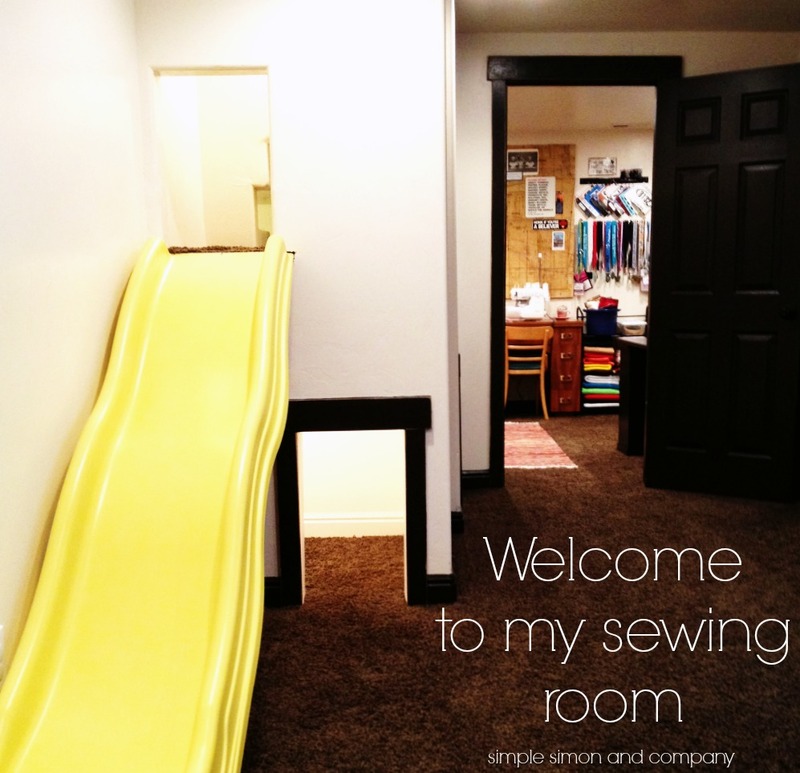 Such beautiful sewing rooms! Mine looks like a bomb exploded in it!